The churches of the Byzantine era were built to represent heaven on earth. Architecture, art and liturgy were intertwined in them to a degree that has never been replicated elsewhere, and the symbolism of this relationship had deep and profound meanings. Sacred buildings and their spiritual art underpinned the Eastern liturgical rites, which in turn influenced architectural design and the decoration which accompanied it. Nicholas N. Patricios here offers a comprehensive survey, from the age of Constantine to the fall of Constantinople, of the nexus between buildings, worship and art. His identification of seven distinct Byzantine church types, based on a close analysis of 370 church building plans, will have considerable appeal to Byzantinists, lay and scholarly. 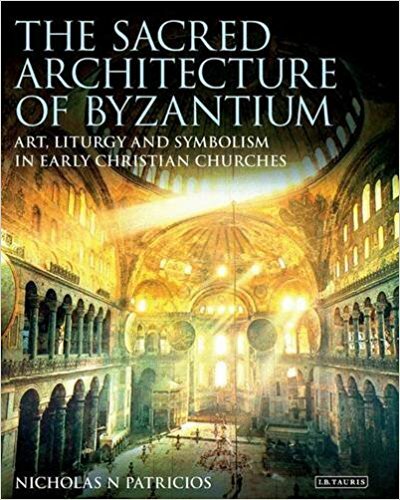 Beyond categorizing and describing the churches themselves, which are richly illustrated with photographs, plans and diagrams, the author interprets the sacred liturgy that took place within these holy buildings, tracing the development of the worship in conjunction with architectural advances made up to the 15th century. Focusing on buildings located in twenty-two different locations, this sumptuous book is an essential guide to individual features such as the synthronon, templon and ambo and also to the wider significance of Byzantine art and architecture.